“I made up my mind that day to trust, even though I didn’t have all the answers. I changed my Facebook job to say: Rescuer of Baby Girls in India. 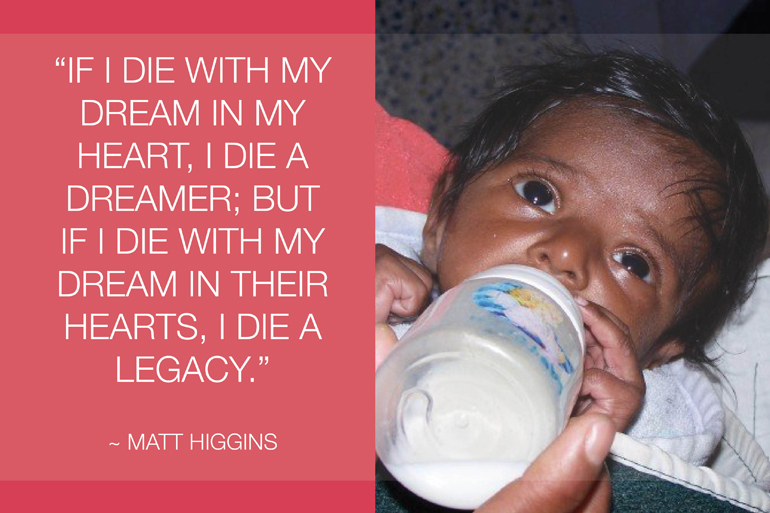 It’s January 2007, and I am in a bare concrete building in India, holding a 3-week-old baby girl. Her name is Vickey. She’s swaddled in a green towel, looking up at me with big brown eyes. She has no idea how special her story is yet. I have no idea what word he is trying to say in English, and I decide not to ask. Because yes, in this moment, I feel very broken down. We ride the rest of the way back in silence. On that ride home, in the cold Indian night air, a vision was birthed in my heart. I knew, without a doubt, I was meant to be a part of this work.